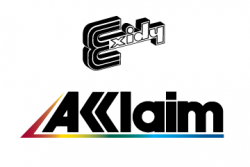 CollectorVision has acquired the trademarks and trade names for both Acclaim and Exidy. Why do this? We all grew up fans of both companies, and want an opportunity to revive the brands for future generations to continue to enjoy, like we did growing up. Sweet, does this mean that CollectorVision will be publishing both Acclaim and Exidy’s classic games, or releasing new sequels to these classic games? No, we don’t own the IP rights to the old games for either company, and only intend to use the names for select new games that we develop. But why not just use CollectorVision’s Games name? Why bother with reviving old trademarks that have been dead for so long? CollectorVision Games has been producing quality games since 2008 and we have built up a solid reputation in the gaming community. 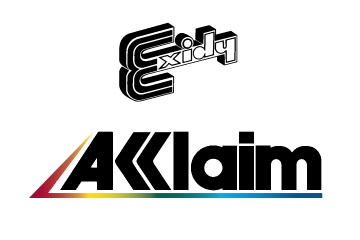 We still plan on releasing games under the CollectorVision Games name, and will only use Acclaim and Exidy’s names on select titles that we fill fit those brands. We want to make both brands proud. The quality of our games will speak for themselves no matter who the game is published under; Acclaim, Exidy or CollectorVision Games. We are simply reviving these brand names to pay homage to the company brands that we grew up having a great deal of respect for. Reviving old trademarks is nothing new and has been happening for decades. Game companies bring back other old gaming IP’s all the time from defuncted old game companies and revive those. In this case it’s no different, just CollectorVision is reviving a company name instead. If you guys have any questions, feel free to post here on AtariAge, and we’d be happy to answer them for you. What games would use these names in the future? I know for a fact that Rip-Cord would use the Exidy name. The problem is finding the owners of old game titles. On a whim I did my own hunt for the people behind Technical Magic (Fire One, Kreepy Krawlers, Star Fire & Star Fire II). There are more than one Tom Michons on Linkedin and Zoominfo thinks David Rolfe works for AtariAge. It sounds to me like making new games with the look and feel of the Exidy brand is a viable path forward. IIRC, wasn't the entire Exidy arcade catalog dumped into the public domain? It sounds like someone gave the MAME people non-commercial permission to distribute some ROMs. Someone on Wikipedia misconstrued all of them as being put under public domain. At least that's what it looks like to me. It was my understanding that Mr. Pete Kauffman, former owner of Exidy had sole ownership of the Exidy brand name and IP. I requested permission for use of the Exidy brand in 2014 from Mr Kauffman, but never got a response. Now Mr. Kauffman is no longer with us, as he passed last year. I'm guessing that the brand and IP was up for grabs shortly thereafter. Nice job on gaining the rights to the name! Question: Is CollectorVision's ownership of the brands a Canadian holding? Looking forward to see the games, whatever the label is! But i don't think you will publish game for Colecovision under the Acclaim label.? It is surely for your NES/ Dreamcast projects? Also thinking about that. Exidy never published for colecovision as well ? Does it really make sense to have game for colecovision under these labels? Or may be you project is to create a new arcade game + Cabinet under the Exidy brand , that you license to Collectorvision ! It would be more authentic! Personally i like the Collectorvision Label ! But it is great you manage to aquire theses names! Are the games that were released under this non commercial license still going to be available under the same conditions? I just bought a great set of reproduction boxes for all the un-released Colecovision games. I was hoping that someone would make those games maybe with manuals just to fill the boxes. I am sure for the Intellivision people many of us were thinking the same thing. Of course if your boxes are different somehow I don't think most of us would minding buying the new complete product. Or, a cartridge and manual release as well as the boxed version would help a lot. Yeah, it was. I thought he meant ColecoVision boxes.